Peg is a scientist studying a dying species of fly which lives on a rapidly dissolving glacier in the Rocky Mountains. Unsure of how to make a difference, she embarks on a desperate journey which propels her into a strange new universe. Exploring the terror of being overwhelmed in a changing world where our options seem to oscillate between panic and apathy, this new play melds contemporary issues with a science fiction epic inspired by Margaret Cavendish, one of the most unique female philosopher-poets in western history. This production is made possible thanks in part to the Neptune Theatre and Theatre Nova Scotia’s Open Spaces Program, and was developed with the support of Arts Nova Scotia, the Nova Scotia Department of Communities, Culture & Heritage, LunaSea Theatre’s Furnace script development program, Eastern Front Theatre’s Stages festival, and DaPoPo Theatre’s Live-In Festival. Thanks to our season sponsor, Websavers Web Hosting. The Open Spaces program is a partnership between Theatre Nova Scotia and Neptune Theatre, with support from Arts Nova Scotia. 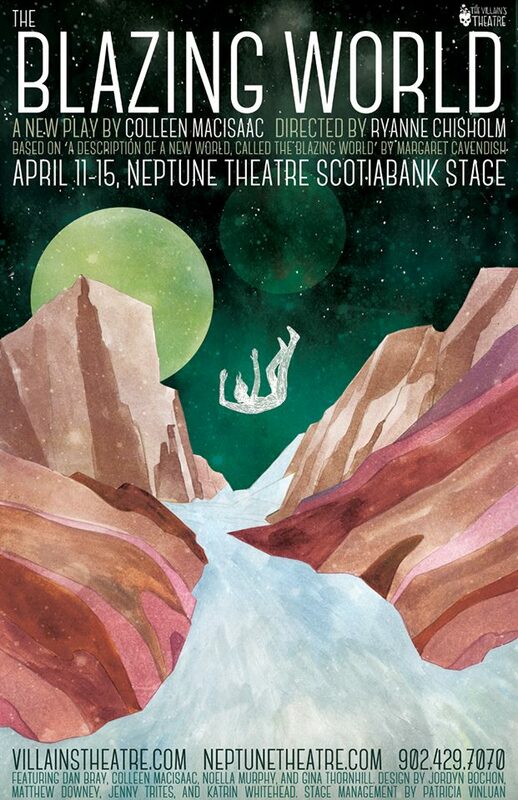 Administered annually through an arms-length process by Theatre Nova Scotia, a theatre company with a new work, is provided one week of free performance space, as well as technical and administrative support from Neptune. This allows the theatre company to focus their resources on achieving their artistic vision and reaching new audiences. Congratulations to Villain’s Theatre, the 2018 recipient of the Open Spaces program.